Christmas is a lot of things; family time, food, merriment, decor, and most famously, gift giving. I, personally, get a bigger kick out of gift giving than gift receiving. But maybe that’s just because these gifts aren’t real yet! 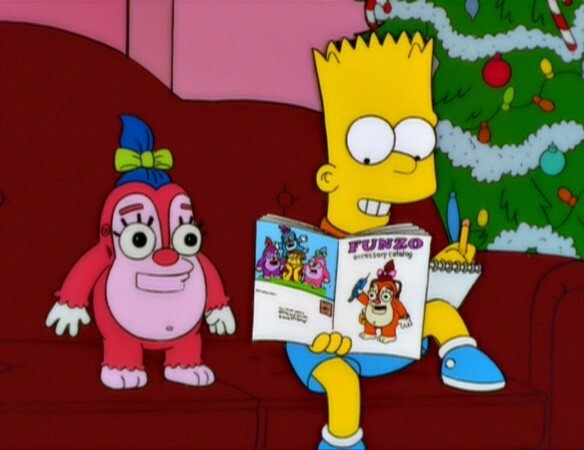 Turbo Man was the fictional toy craze in the 1996 classic Christmas stinker Jingle All the Way, a parody of Christmas toy crazes in which a bad dad spends all day trying to get his hands on the season’s most coveted toy, Turbo Man, only to become the real hero in the end (of course). And while there were real Turbo Man figures produced, they were in a limited number due to the film’s short schedule and, apparently, sucked. Sure, the movie is pretty bad too, but in a good way. Word on the street is the toy was just bad in a bad way. But wouldn’t it be awesome if Turbo Man was a real toy craze and was actually good? Wafflebot comes from the Christmas extravaganza that is A Very Harold & Kumar 3D Christmas, where he was a popular gift for the fictional 2011 Christmas season. Wafflebot, of course, made waffles and had a severe hatred for pancakes (for their superiority, I assume). But if waffles are awful, what makes Waffleboy awesome you ask? Well, in addition to obeying your commands, he’ll be your best friend, hold a conversation with you and save you from Russian mobsters, if the situation arises. Wafflebot would easily be #1 if he was FrenchToastbot, but since he’s not, my #1 pick for fictional Christmas toy is Bonestorm. Want excitement? Shove this up your stocking! 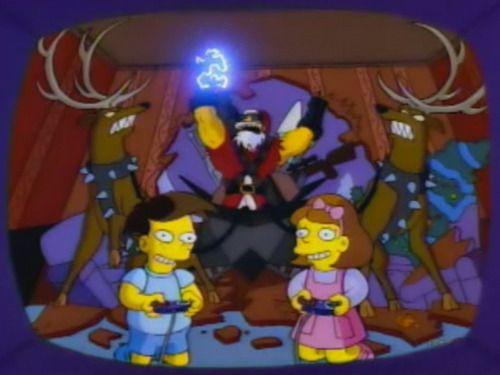 Bonestorm is the video game from The Simpsons episode ‘Marge Be Not Proud’, that Bart steals from the Try-N-Save since he won’t get it for Christmas, as Marge feels it’s too expensive and violent. 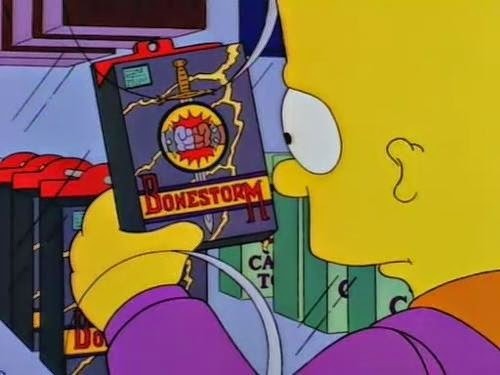 Not only is Bonestorm a great reflection of the fighting games and game consoles that were big Christmas items of the era, but it gave us other comical gems as ‘Thrillhouse’ and ‘Buy me Bonestorm or go to hell!’ But hey, if you can’t get a copy of Bonestorm, at least there’s always Lee Carvallo’s Putting Challenge. Catfish? Is there anything we missed? Sound off in the comment! A Christmas piece I wrote for the Spew, and my own kicks!